After months of speculation, and a development announcement, Nikon has finally revealed that the D4S pro camera will feature a revamped 16 million pixel sensor, with the top end sensitivity setting pushed to an industry leading ISO 409,600 (equivalent). According to Nikon, the D4S features a "revamped" sensor, but it's sticking with the same 16 million pixel count as the original D4, announced just over two years ago. As expected, the D4S features the latest Expeed 4 imaging engine (compared with the D4's Expeed 3 device). This helps to facilitate the expansion to the highest sensitivity setting. Other advancements include improvements to the AF performance, with claimed better focus acquisition and tracking at 11fps (frames per second), plus finer control over the AF area with the new Group Area AF mode. 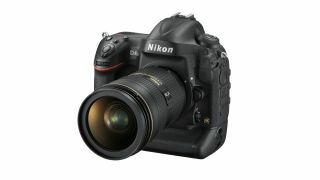 Noise control has been improved too, says Nikon, thanks to the new processing engine. As with the D4, the D4S is designed for tough conditions and features a rugged, weather-sealed full metal body. Nikon says it has made some changes to button layout and re-shaped control buttons for improved handling, especially in damp conditions. The D4S features a new shutter and mirror mechanism, which now boasts a lag of just 42 milliseconds - which Nikon claims to be less than the blink of an eye. The new mechanism also reduces mirror bounce for a more stable viewfinder image with minimal viewfinder blackout when shooting at high speed. In terms of movie recording, as with the D4, the D4S is capable of producing broadcast quality video in multiple frame formats, which now includes 50p and 60p. Sound recording has been improved thanks to more options for audio control, too. The Nikon D4S price will be US$6499.95/£5,199 and it will go on sale at selected retailers from 6 March 2014.